Our Fresh Ground Process gives our nut butters their unique taste and texture, and allows us to preserve the integrity of all the wonderful ingredients. Our dry roasted cashews are blended with cold pressed sunflower oil, which is high in Omega 3’s and 6’s. Our organic, non-GMO honey can help with allergies, is good for gastrointestinal health and is low on the glycemic index. You won’t experience a sugar crash on a spoonful of Cashew Butter Bliss. We also use a hint of sea-salt, keeping this product as simple and delicious as possible. The end result is a tasty treat that is great for the body and good for the soul. Ingredients: Roasted sunflower seeds, sunflower seed oil, organic raw honey, sea salt. 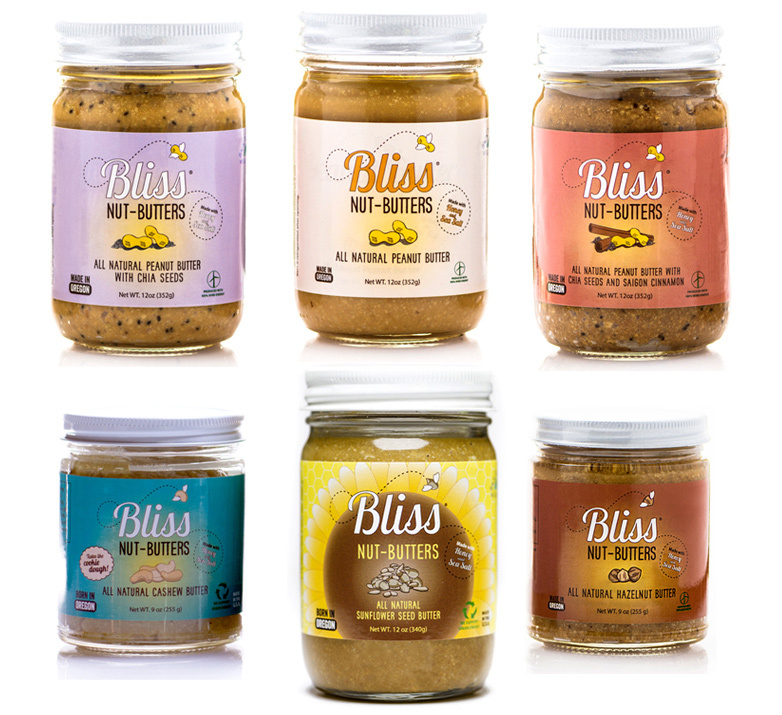 Packed with antioxidants and low on the glycemic index, Chia Seed Peanut Butter Bliss is an all-natural peanut butter made with dry roasted peanuts, nutrient-rich chia seeds, honey produced right here in the Pacific Northwest, heart-healthy oils and a hint of sea salt. There are no preservatives, no additives and our peanut butter is packaged in a glass jar that is recyclable, sustainable and reusable. Ingredients: USA peanuts, peanut oil, organic raw honey, sea salt, chia seeds. 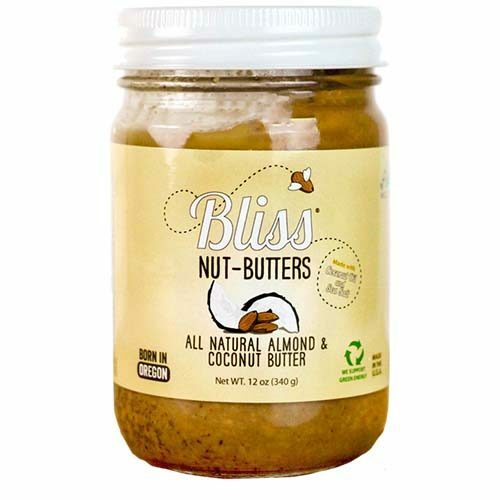 Peanut Butter Bliss:Nutritious and delicious; Peanut Butter Bliss is an all-natural peanut butter made with dry roasted peanuts, organic and non-GMO honey, heart-healthy oils and a hint of sea salt. There are no preservatives, no additives and our peanut butter is packaged in a glass jar that is recyclable, sustainable and reusable. The best part is it doesn’t have to be refrigerated after opening due to the honey and sea-salt being natural preservatives. Ingredients: USA peanuts, peanut oil, organic raw honey, sea salt. 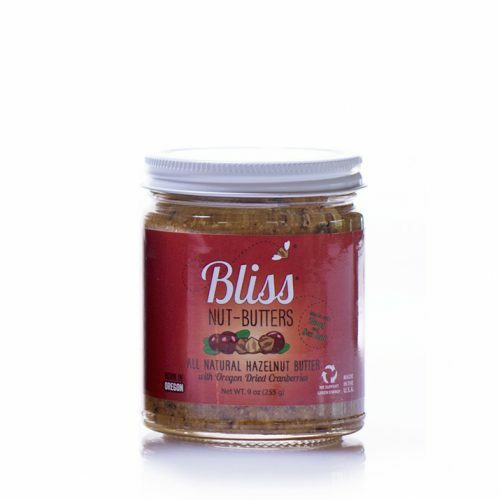 Cinnamon Chia Seed Peanut Butter Bliss:Packed with nutrients and flavors, Cinnamon Chia Seed Peanut Butter Bliss is an all-natural peanut butter made with dry roasted peanuts, nutrient-rich chia seeds, saigon cinnamon, non-gmo honey, heart-healthy oils and a hint of sea salt. There are no preservatives, no additives and our peanut butter is packaged in a glass jar that is recyclable, sustainable and reusable. Ingredients: USA peanuts, peanut oil, organic raw honey, sea salt, chia seeds, saigon cinnamon. 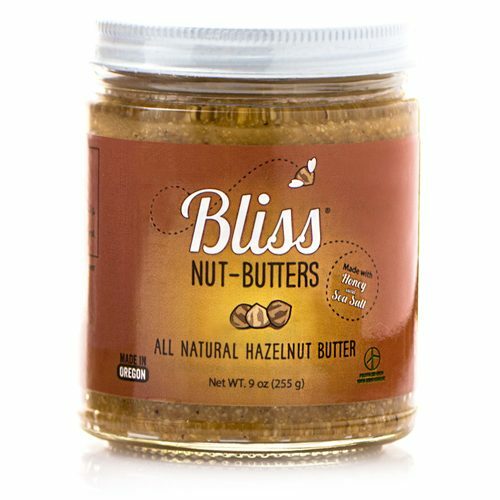 Hazelnut Butter Bliss:To create our Hazelnut Butter Bliss we sourced Hazelnuts from the Northwest, paired them with our classic combination honey and sea-salt and spun with it Organic Sunflower oil for to achieve a delightful spread. This particular nut is in a class of it’s own with our Fresh Ground Process and the natural tones of vanilla that lends that classic hazelnut taste. Ingredients: Roasted hazelnuts, sunflower oil, organic raw honey, sea salt.